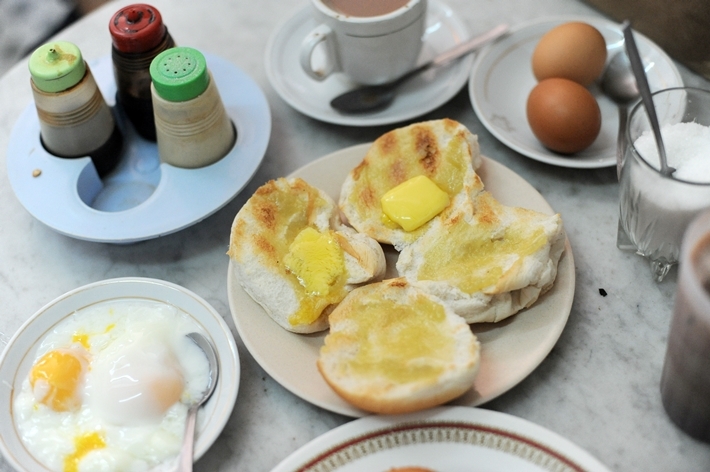 Few things in life satisfy as much as the Kaya Toast—a traditional Singapore-style breakfast. It has undoubtedly become a staple for many Singaporeans since generations ago, and today, it is still widely loved. We enjoy the old-school fare in various ways—dipping it in soft boiled egg, coffee, or just having it on its own. Very often, it is also paired with a set meal of two soft boiled eggs and your choice of coffee or tea. You can find renditions of this dish almost everywhere you go, and to get you started, here are 14 Best Kaya Toasts In Singapore. A healthy diet is paramount to maintaining a healthy lifestyle. More often than not, eating healthy equates eating salads and quinoa. But that does not mean that the hawker fare Singaporeans love and know cannot provide us with the necessary nutrients and vitamins that we need too. You see, as long as we are conscious about picking healthier choices, those are baby steps to achieving a healthier lifestyle—slowly but surely. 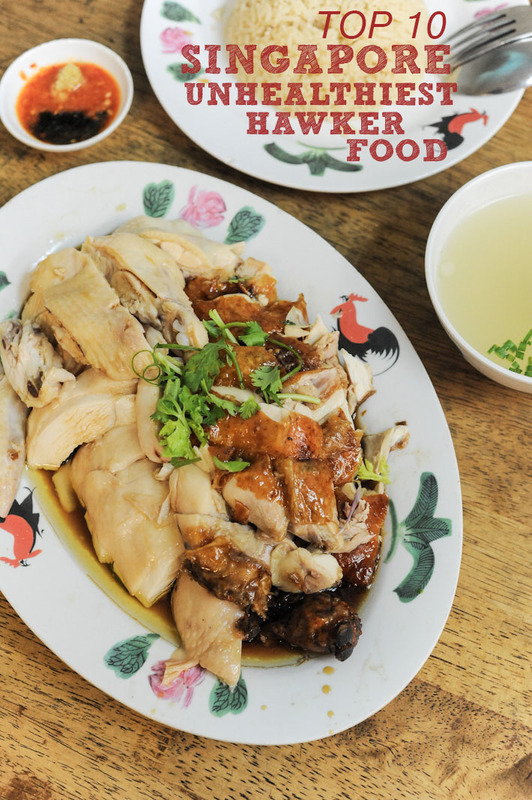 Hawker food is the epicenter of Singaporean culture. But there is a common notion that hawker foods are not as healthy. As such, those of us in search of healthier options tend to give in to salad and grain bowls—which often take a massive toll on our wallets. There are actually healthier options available in hawker centres that are generally lower in calories and some are even prepared with healthier oil or wholegrain ingredients. Rejoice, for we now have 8 Healthier Hawker Food in Singapore Under S$5 for when you are broke but still want to eat healthier. Remember to look out for the Healthier Choice Symbol when placing your orders! Singapore is a city filled with colourful cuisines and all sorts of (fattening) goodies. Eating is a national hobby in Singapore and it is not exaggerating to say that Singaporeans are all foodies in our own rights. Singapore’s local food is so diverse and multi-cultural that you will never get sick of eating it. And what if we told you there are several buffet spreads that focus on local food? Imagine free-flow roti prata, Chinese roast meats and delicious beef rendang! You will find yourself going for a second, maybe third serving of that fragrant chicken rice. And free-flow chilli crab for you? Well, here are 8 Local Food Buffets in Singapore You Need To Try. Is it not apparent enough that Singapore is a foodie’s heaven? We have all sorts of cuisine you can ever imagine, but more so, there are so many local dishes that are representative of Singapore and quite possibly exclusive. Too many that we don’t even know where to start. Chilli Crab is something we all know, and the Singapore-style Laksa has become world famous; there’s Frog Leg Porridge that is comfort supper food, and we have rojak that is oh-so-wonderful. They are everywhere—in coffee shops, hawker centres, full-fledged restaurants… and these are some of the Local Dishes That Are Representative of Singapore. The next time you run out of ideas, or are just having trouble satiating your local food cravings, this should be your checklist. This year’s Singapore Food Festival (SFF) focuses primarily on local food and chefs, circling around the theme of ‘A Fresh Taste of Tradition’. From 17 July to 2 August 2015, indulge in the festivities of Singapore Food Festival with various locations around Singapore, featuring modern takes on nostalgic local food by some of Singapore’s top chefs. Do you miss the dishes your grandma or your parents used to cook when you were younger (or still do now)? As our society progresses, more and more people have taken the initiative of putting their own spin on these classic dishes to produce some of the best modern-traditional Singaporean fare. In lieu of Singapore Food Festival 2015′s theme – ‘A Fresh Taste of Tradition’, share your Family’s signature dish and stand a chance to win weekly prizes including exclusive event passes to SFF 2015 and F&B dining Vouchers! We Singaporeans love our hawker food – oh, yes we do. But as with all relationships in life, some love are a little more toxic than others. I got a local dietitian to help shed light on what dishes we should keep a distance from. 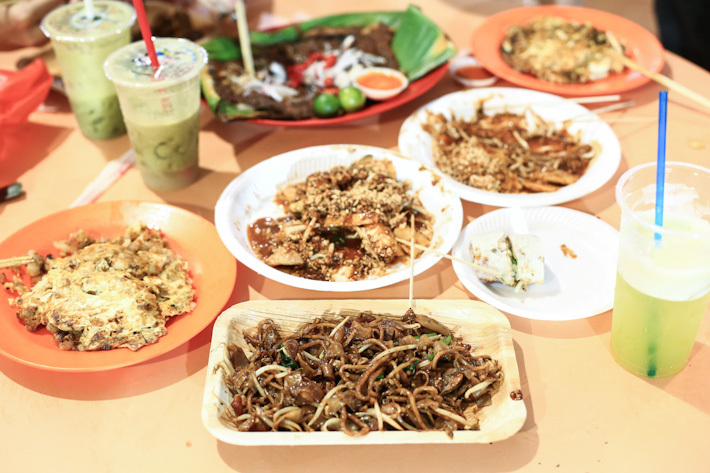 Check out Singapore’s 10 unhealthiest hawker dishes, listed according to total calories. I do apologise for the impending heartbreak. Have you ever experienced that awkward silence when you are asked about Singapore’s culture, and you fumble, hem and haw as you try to find some costume, dance or tradition that is unique to Singapore? I have. Well, at least until I start talking about food. Now that’s where stopping me would be a problem. It is amazing how much our nation loves food. Our day-to-day conversation inevitably revolves around food. And the best part is for a fraction of the price, you get something no less satisfying than a meal in a high-end restaurant. So here is a guide to introduce 10 of the best Singapore Hawker Food.